Are you looking for reliable Hotel Booking Services in Port Blair (Andaman & Nicobar Islands, India)? Come and contact us. SAFAR-E-ANDAMAN is one of the responsive and responsible Travel and Tour Agencies providing Hotel Booking Services. We are capable of arranging accommodations in 5 Star Hotels, 3 Star Hotels, 2 Star Hotels, Guest house and Luxury Resorts anywhere on the Islands of Andaman & Nicobar. 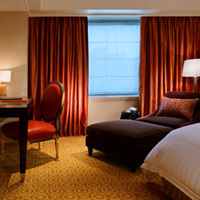 We can get hotel rooms booked for you and your friends/ family on desired rate that too at discounted prices.